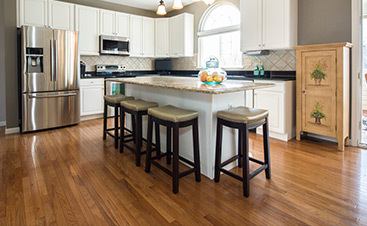 A new thing we are doing with our blog is featuring the history of the towns we provide our hardwood flooring services to. Today we’ll be talking about the history and background of Alpine, NJ! 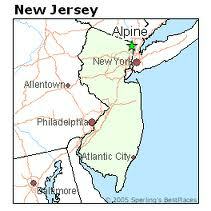 Alpine, NJ, is part of Bergen County and is situated along the Hudson River less than 20 miles from New York City. 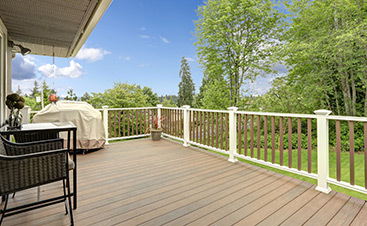 Largely residential, Alpine boasts many beautiful homes, parks, and its own police and fire departments, while providing luxurious privacy for its roughly 2,000 inhabitants. It is a short commute to the private Teterboro airport. Prior to becoming a borough, the area that is now Alpine was the site of Revolutionary War activity, with troops led down the Closter Dock Road (laid in 1761) to the Hudson. After the war during the 19th Century, the area continued to be a hub of transport and functioned as the end of the Yonkers Ferry. The Alpine Historic District was added to the National Register of Historic Places in 1985. The Kearney House, also known as the Blackledge-Kearney House or the Cornwallis Headquarters, is an historic home in the district and has been a homestead, a tavern, and a police station. Normally open to the public, it has been temporarily closed due to damage sustained during Hurricane Sandy. Alpine officially became a borough in 1903, when it was formed from part of Harrington Township. It was expanded in 1904 to include a section of Cresskill. Alpine is noted for two prominent structures: The Armstrong Tower and the Devil’s Tower. The 425-foot-tall Armstrong Tower, also called the Alpine Tower, was constructed in 1938 by Edwin Armstrong for early radio experiments that led to what is known today as FM radio. The tower is still currently in use and was a center of transmissions during the bombing of the nearby World Trade Center. The Devil’s Tower is located in Rio Vista, once the estate of Manuel Rionda, a wealthy agriculturalist. Rionda reputedly built the stone clock tower for his wife to enjoy the vista across the Hudson to New York. Despite evidence to the contrary, the tower remains the subject of legend and rumored paranormal activity. It sits on the cliffs overlooking the river in an area that has since been subdivided and filled with large, elaborately landscaped and outfitted homes. Alpine has been and continues to be the home of many celebrities from the worlds of film, television, sports, and the recording industry, such as Eddie Murphy, Stevie Wonder, Russell Simmons, Chris Rock, Johnny Damon, and Patrick Ewing. Its status as a quiet haven for stars has made it one of the most expensive zip codes in the entire United States. Palisades Interstate Park runs along the river edge of Alpine, where visitors can enjoy picnicking, boating, fishing, and socializing in the Alpine Pavilion, a stone structure built in 1934 and available for rent to the general public. Alpine is also home to the Stone Mansion, built on the former estate of American industrialist Henry Clay Frick, the original owner of the Frick Collection of paintings sculpture, and decorative art housed in Manhattan. It has been recently listed for sale as the highest priced house in New Jersey and at the upper price scale for homes in the US. 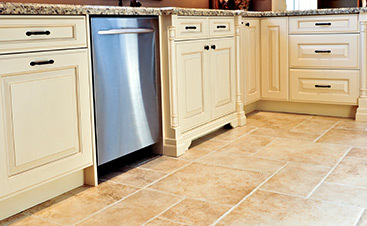 Do you live in Alpine New Jersey and need help with hardwood flooring? Contact us today.